Ecologic Institute has been ranked 7th among Top Environment Policy Think Tanks in the 2017 Global Think Tank Ranking of the University of Pennsylvania. Ecologic Institute is proud to be among the Top Ten for the 8th year in a row. The results and the respective report were released on 30 January 2018, with launch events worldwide in over 100 cities. 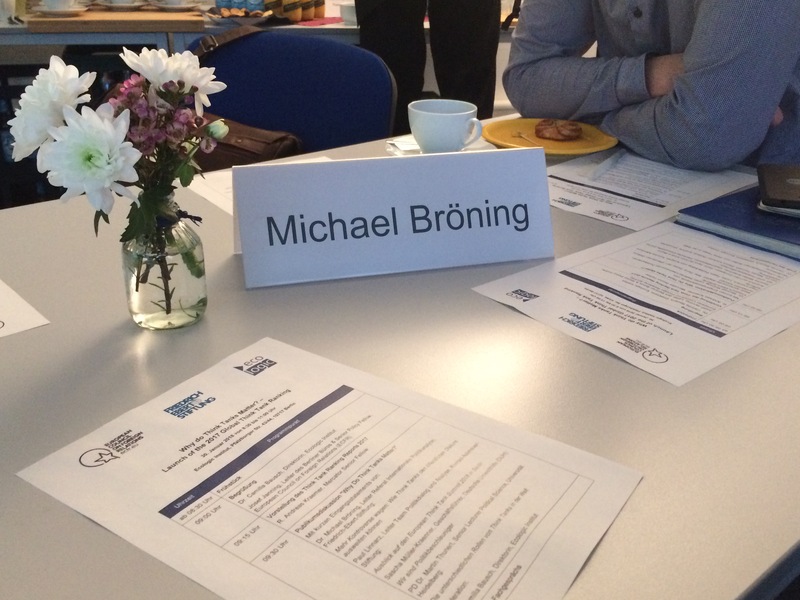 The Berlin launch was hosted by Ecologic Institute and the European Council on Foreign Relations, with support by the Friedrich-Ebert-Stiftung. 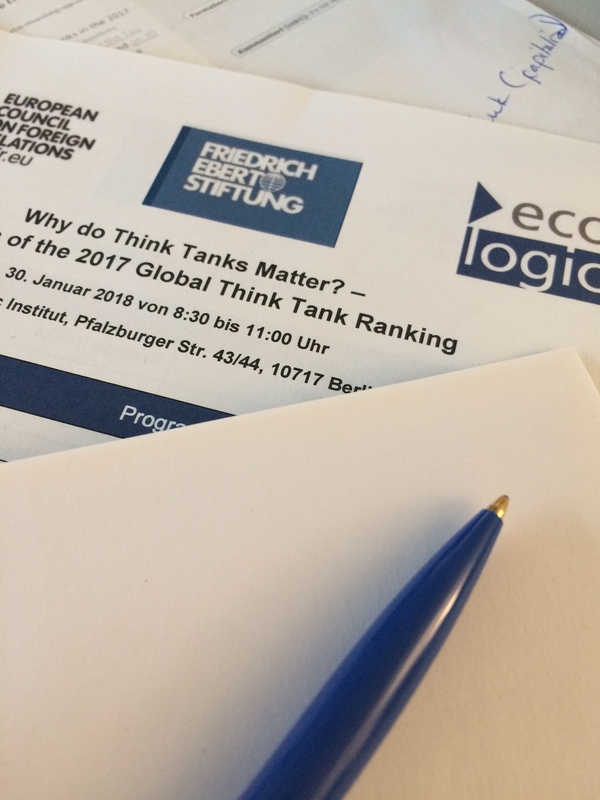 Along with an increase of two positions in the Environmental Policy Think Tank category in comparison to 2016, Ecologic Institute's biggest jump was to place 30 from 51 among Top Energy & Resource Policy Think Tanks. The Institute also increased significantly in the Top Think Tanks in Western Europe category, increasing 14 points to come in at place 18. Furthermore, the Institute moved up 1 position for Best Quality Assurance and Integrity Policies and Procedures, coming in at 5th place overall. 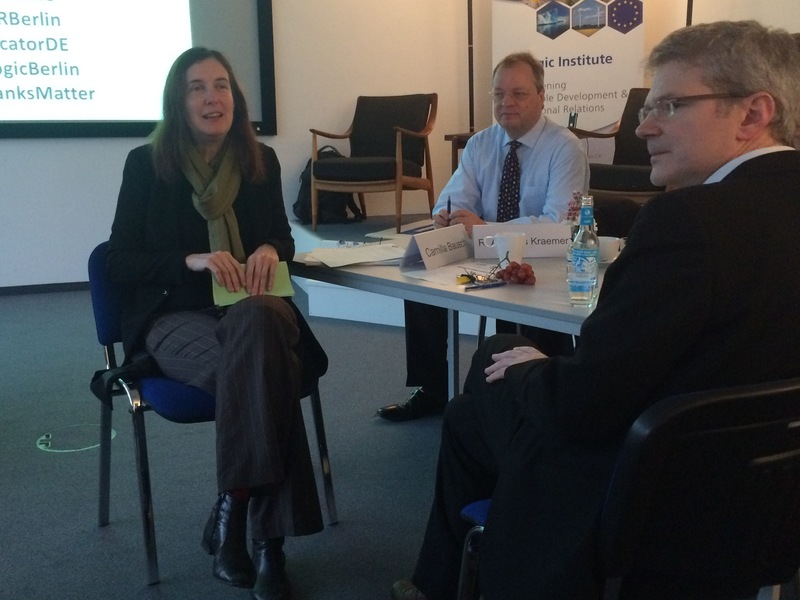 Dr. Camilla Bausch, Director of Ecologic Institute, was pleased with the results. "It is gratifying to see Ecologic Institute consistently in the top rankings. It is a testament to the impact we are having with our work in the field of environment and sustainability that we have been a top 10 Environment Think Tank since the first rankings in this category in 2010." 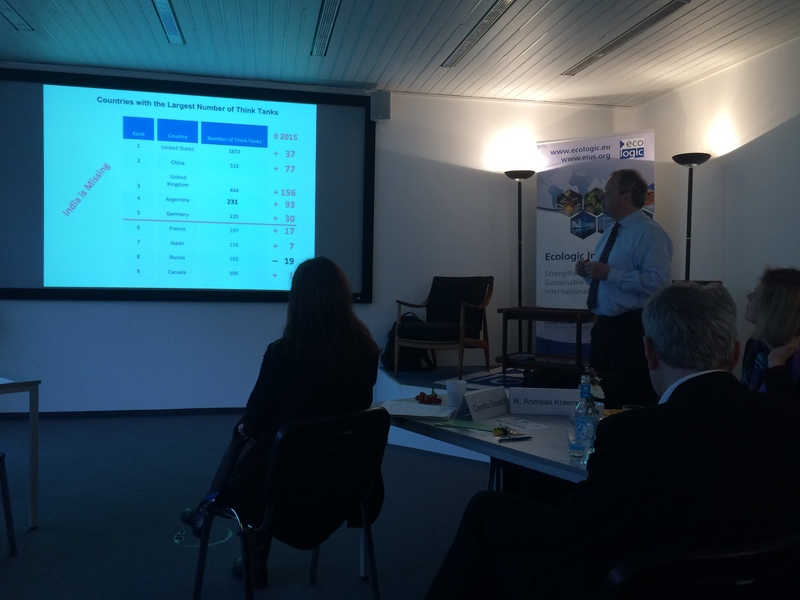 The top place in the Environment Policy category was held by the Potsdam Institute for Climate Impact Research, with Ecologic Institute as the only other German Think Tank within the Top 10 in this category. Think Tank of the Year 2017 was awarding to the Brookings Institution (USA). The Think Tank with the most significant impact on public policy was determined to be the Heritage Foundation (USA). 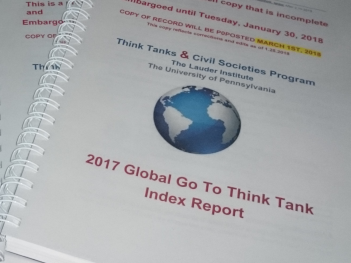 The rankings, compiled by the Think Tanks and Civil Societies Program (TTCSP) of the University of Pennsylvania, were launched on 30 January 2018. 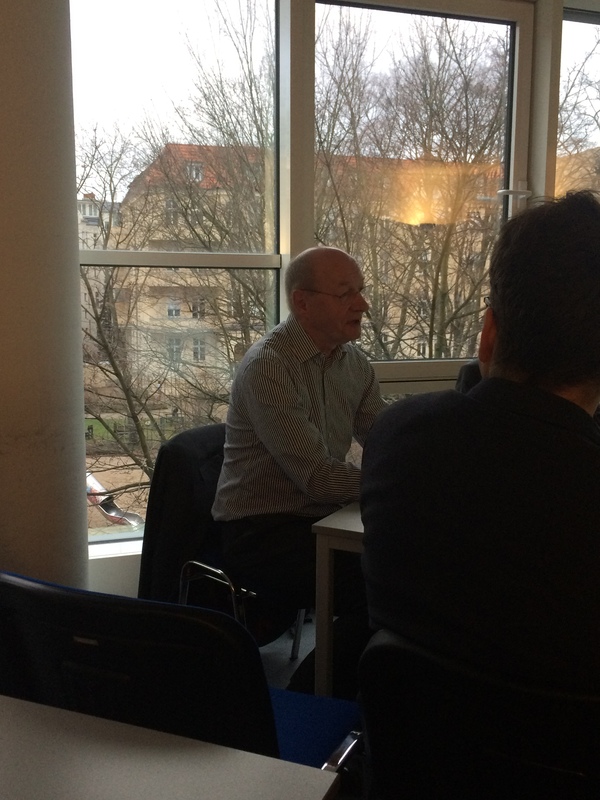 The launch event in Berlin was hosted by Ecologic Institute and ECFR. The report was introduced by Mercator Senior Fellow and Founder and Director Emeritus of Ecologic Institute, R. Andreas Kraemer. The subsequent panel included short statements by Dr. Michael Bröning of the Friedrich-Ebert-Stiftung on "Risking more controversy: How think tanks can broaden the public discourse", Sascha Müller-Kraenner of Environmental Action Germany (DUH) on how think tanks accelerate politics and Dr. Martin Thunert of the University of Heidelberg on the different roles of think tanks in the world. 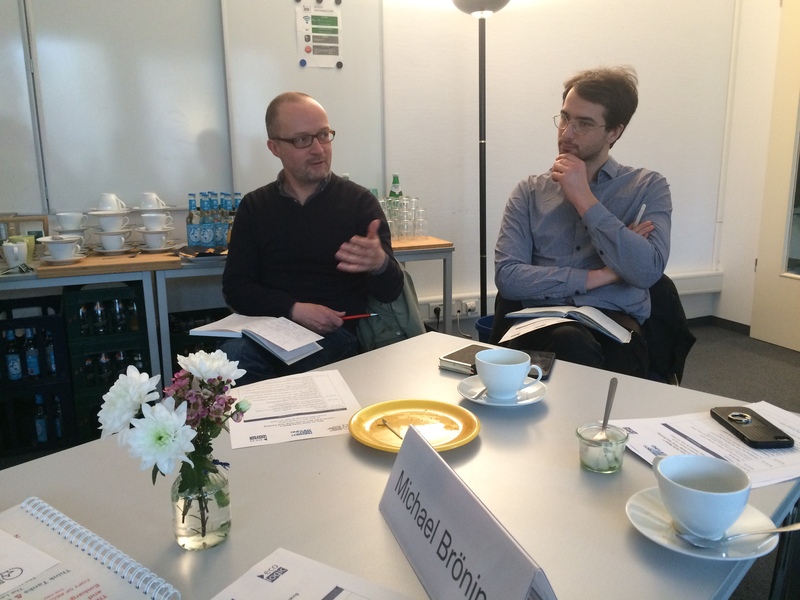 Finally, Paul Linnarz of the Konrad-Adenauer-Stiftung (KAS) provided an outlook for the European Think Tank Summit, which will take place in March 2018 in Berlin. The individual contributions were followed by a lively discussion on the role of think tanks in the current political environment. The TTCSP is based at the University of Pennsylvania and serves to increase the profile, capacity and performance of think tanks at the national, regional and global levels. A part of this mission includes the production of the annual Global Go To Think Tank Index, which this year included contributions solicited from over 7000 think tanks, more than 4000 journalists, policy makers, public and private donors and specialists, as well as a group or peers and experts. The report is available for download. A copy of the record will be posted on 1 March 2018.